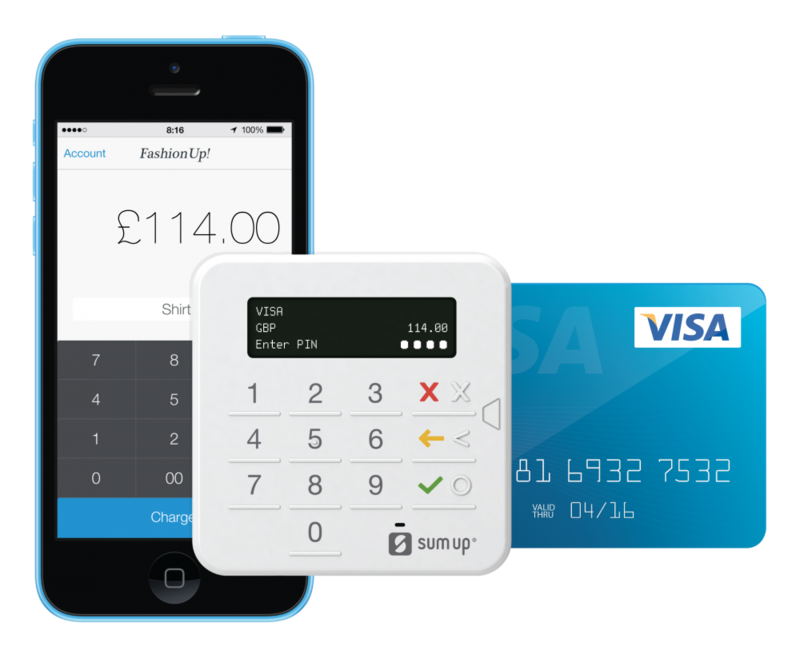 SumUp has merged with Payleven for those who were unaware, and we will give them credit where credit is due. This merge meant a cut in all the different options of card readers and extras, having boiled their options down to one card reader – ‘SumUp Air’. SumUp’s German engineering does not disappoint. They’ve got a slick card reader, but you’ll still be set back £29-99 (Air vs 3G card reader) for the machine. However, once you have it there are no other costs than the 1.69% transaction fee to worry about; no monthly fees or contracts. We have to say, they are one of the more straightforward companies out there, with competitive pricing following a simple model. However, in all their simplicity they also limit themselves as they do not offer any form for virtual terminal or ability to send paylinks, which means your customer has to physically be with you in order for you to successfully process their payment. All in all a decent, simple solution with transparent pricing. However, we find it to be oversimplified in many ways, limiting the merchant. They also don’t specify any rate cuts for larger volumes, which means you can quickly end up paying more than necessary if business is going well.